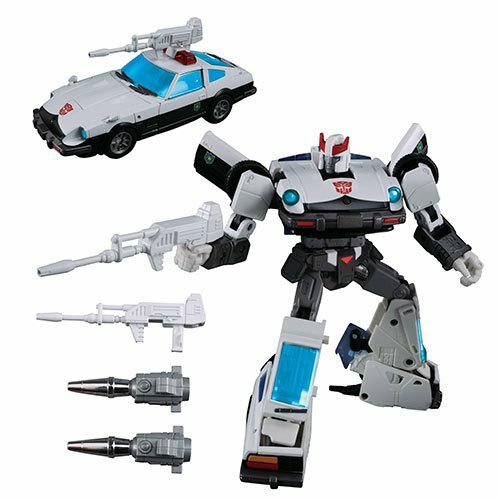 Transformers Masterpiece Edition Prowl is back! The Autobots' military strategist comes complete with Semi Automatic Blaster and awesome missile launchers. With cartoon-specific detailing, Prowl looks spiffy in his blue windows and sharp black-and-white finish. Transforms from Nissan Fairlady Z280Z-T to robot and back again. Includes 1 semi automatic rifle, 2 missile launchers, 1 instruction sheet, 1 character card.